We test drove BMW’s 316i, and here nine few things you have to know about this model. We test drove BMW’s 316i, and here are nine things you have to know about this model. The 316i is BMW’s entry-level model in the popular 3 series. It’s about R30 000 cheaper than the 320i and costs almost R300 000 less than the flagship ActiveHybrid 3. But this bottom-of-the-range model is no slouch. The1,6-litre turbo engine is willing and the car accelerates from 0-100 km/h in a reasonable 8,9 seconds, while average fuel consumption is 5,8 litres/100 km. Like other BMWs, the 316i is a pleasure to drive because it’s got good handling and roadholding. The driver can choose between three driving modes, EcoPro, Comfort and Sport, which modify the car’s behaviour. For instance, on EcoPro you’ll save more fuel. The interior finish is good quality and it has all the necessary comfort and safety features, but you can push up the price considerably with scores of optional extras. Whereas previous 3 series models came in for a lot of flak for not having enough leg room for rear-seat passengers, the latest model has more than enough room. The current 3 series is the sixth generation. 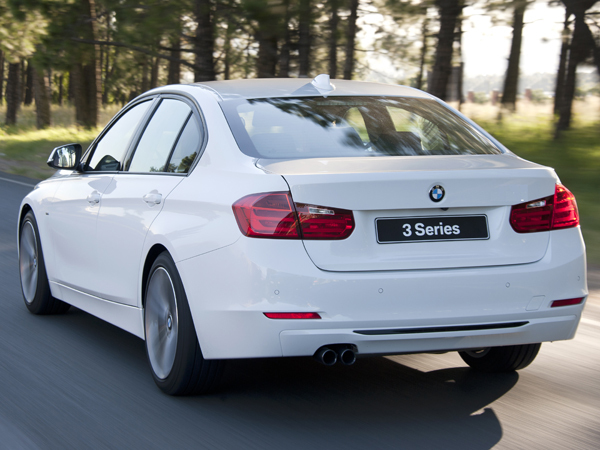 The 3 series is proudly South African and is manufactured at BMW’s facility in Rosslyn, Pretoria. Conclusion: The 316i is an impressive car which isn’t only stylish but also a pleasure to drive. In addition, the build quality is good and it boasts some excellent technology.